The Pendle Tow Bar Rack has been designed to fit standard vehicles with tow bars fitted such as estates, hatchbacks and saloons. It consists of two bike rack "arms", which slot into the mounting block fitted behind the vehicle`s tow ball. The bicycle frames are hung over and strapped securely to the two arms. This rack does not have offset arms and we recommend that if you have a vehicle with a flat back such as a people carrier or 4x4 without a rear spare wheel you should purchase our Discovery Rack which has arms offset by 6 inches.  This ensures that the handle bars and pedals of the first bike clear the back of the vehicle. (please see fitting guide). The Behind the Ball Tow Ball Rack is designed for standard 2 bolt flange type tow bars and the mounting block bolts between the tow ball and the towing bracket. You can normally tow whilst this version of the Tow Bar Rack is fitted to your tow bar. However, we recommend that no more than 2 bikes are placed on the rack when towing and you should always check that your turning circle will not interfere with the bike rack loaded with and without bikes before you set off on your journey. The Behind the Ball Rack is available as a 3 or a 4 bike capacity rack. The rack is also available with the on the Ball block (TBM3 or TBM4) and with arms corresponding to this block . PLEASE NOTE THAT ALL OF OUR TOWBAR RACKS OPERATE A QUICK RELEASE SYSTEM FROM THE TOWBAR MOUNTING BLOCK USING A PATENTED SECURING PIN WHICH PASSES THROUGH THE BLOCK AND THE BOTTOM OF THE RACK. The Pendle Tow Bar Rack is a truly solid, sturdy, top quality rack with ample room for 4 bikes when purchasing the 4 bike capacity rack. The Pendle Tow Ball Mounting 3 Bike Rack was recently tested by Practical Caravan whose verdict was: "well-engineered and easy to use" You may need to purchase a lighting unit if the bike rack prevents your number plate and back lights from being seen by other road users. We recommend that the bikes placed on the rack weigh no more than 15 kg each. Please note that the rack is supplied with fitting for a single electrical socket. Doubles available on request.